With the 450th anniversary of the founding of Saint Augustine fast approaching, we are getting very excited for an amazing celebration of history. Having operated in her historic waters since 2001, our captains and crew have always taken pride in sharing with our passengers the fascinating maritime history of St. Augustine. Carrying a United States Coast Guard license for multipassenger use, she is the only Class B rated tall ship from Brunswick, GA to Miami, FL. The Freedom is a tactile and working display of the rich maritime history of the area. The Schooner Freedom is a replica of the cargo schooners that ran the waterways during the 1700 and 1800s. Schooners similar to the Freedom were how mail and supplies were delivered to St. Augustine. Without their speed, extreme maneuverability, and shallow drafts, the city would have starved and received no communication for the rest of the country – news of the signing of the Constitution was brought to St. Augustine by schooner! 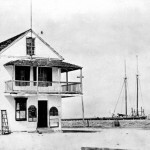 Schooner’s became the backbone of St. Augustine’s maritime trade industry during the first Spanish occupation of the town. The founding of Charleston, South Carolina in 1670 marked a new period in St. Augustine’s history. The English were now firmly settled in what had been St. Augustine’s northern sphere of influence. English territory encroached ever closer to St. Augustine, and as wars broke out in Europe a series of raids were staged from these neighboring colonies. Ironically, during this period the English colonies were also St. Augustine’s biggest trading partners. St. Augustine relied on an annual situado (government subsidy of money, goods, and food shipped from Mexico), but this fluctuated from year to year and did not always meet the needs of the frontier settlement. The townspeople had to rely on illicit trade with outsiders, and a brisk exchange of oranges, naval stores, and other local products for English manufactured goods flourished. In the years before the outbreak of the War of Jenkins Ear (which brought on Oglethorpe’s raid) it was not uncommon to see Spanish ships from St. Augustine at the port of Charleston. During the interspaced periods of warfare, St. Augustinians fulfilled their craving for English goods through privateering and, most likely, through continued smuggling. While St. Augustine had proved impossible to capture by force, the port and the rest of Florida were ceded to England on the negotiation table at the close of the Seven Years’ War in 1763. The trade that had been illegal under Spanish rule was now legitimate, and St. Augustine and its surrounding region underwent an economic boom. This began with a detailed hydrographic survey of the inlet, approach channels, and sandbars, which resulted in marked improvements in navigation. Orange, rice, and indigo plantations sprung up along the complex inland network of navigable waterways, which facilitated transport of export produce to waiting ships in the harbor. Many of these waiting ships were cargo schooners. In fact, the Naval Office Shipping List from November 1764-February 1766 show that all but 2 ships that entered St. Augustine to trade were schooners. The outbreak of the American Revolution saw many ships from now Royalist Savannah and Charleston making way for the bar at St. Augustine, where they picked off vessels anchored out, waiting for necessary conditions to cross the bar. This had a tremendous impact on the port’s economy and almost caused a collapse of trade at St. Augustine. In order to survive and procure articles and trade for the citizens of the port, East Florida’s Governor Patrick Tonyn issued his own letters of marque and reprisal. These privateers, many of them schooners, sailed out of St. Augustine and preyed on rebel trade at the ports of Savannah, Charleston, and elsewhere. This brought trade items to St. Augustine that were essential to the survival of its residents. Shipping to and from the port of St. Augustine, predominately with coastal schooners, and inland shipping up and down the St. Johns River via sail and steam, continued to increase up to the outbreak of the American Civil War. Shortly afterwards the Union blockade brought this trade to a standstill. Sloops and schooners now obtained letters of marque to interrupt the Union trade routes and, much as they had during the American Revolution, these privately owned and operated sailing vessels protected the waters of coastal Florida and kept the residents of St. Augustine supplied with necessary stores. 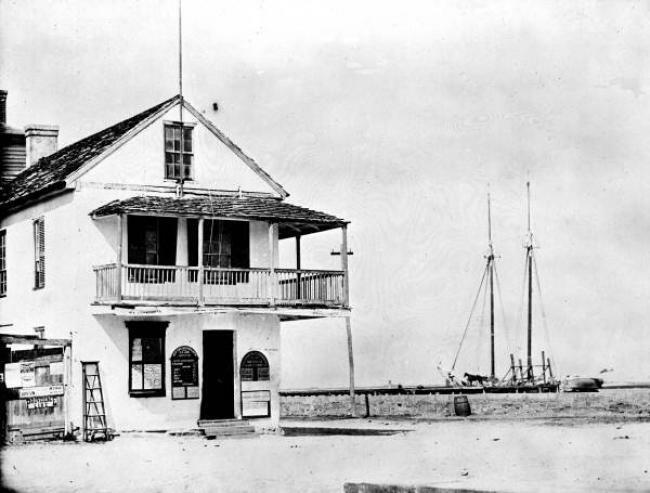 By supplying the residents of St. Augustine with the supplies to sustain life and the information to plan strategic military endeavors, schooners played an enormous role in making sure St. Augustine remained a continuously settled city.